Bodegas Alvarez y Diez is a wonderful and ambitious winery based out of Nava del Ray in Rueda. In 1941, Alvarez Romero and Eladio Diez Ossorio began this family estate, which is now known as one of the oldest Bodegas in all of Rueda. Over decades of winemaking and grape growing, the winery creates a wonderful line up of Rueda’s famous white grapes. Enrique J. de Benito and his sons have taken what has always been, and created an estate of modern and advanced equipment, mixed with earth conscious practices and create their family estate wines. As of recently, the winery has stretched its wine making out to surrounding vineyards that sit outside of the Rueda DO. 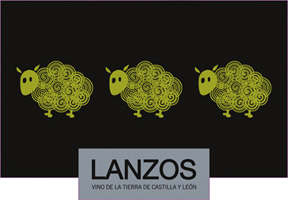 The Lanzos line is an incredible value due to these efforts of producing delicious demarcated wine. Castilla y Leon is situated the northern half of the central Iberian Plateau. It accounts for about one-fifth of the country's total surface area and stretches roughly 220 miles. The climate has a remarkably strong continental feel, given how close it comes to the Atlantic Ocean. Hot, dry summers here are followed by sharp, cold winters, when temperatures regularly drop well below freezing. Red wines rule in Castilla y Leon, and of the red-wine grapes, Tempranillo is unquestionably the king. It is the grape behind all of the region's finest wines except Bierzo, which makes good use of Mencia. Castilla y Leon's white wines – far fewer in number than the reds, but only marginally less prestigious – are made mostly from Verdejo and Viura.